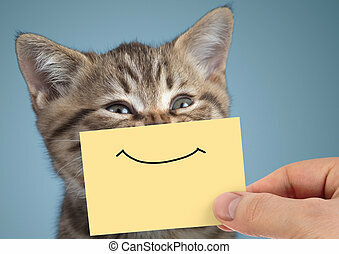 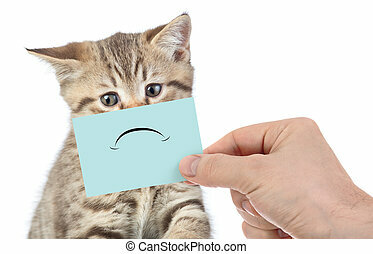 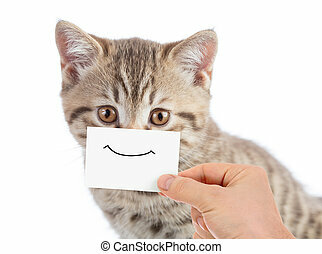 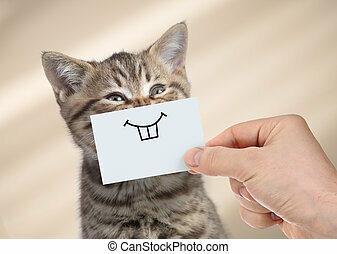 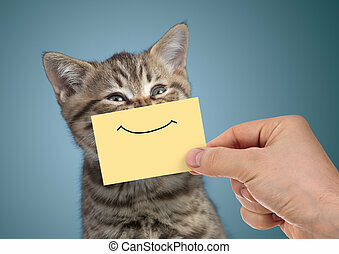 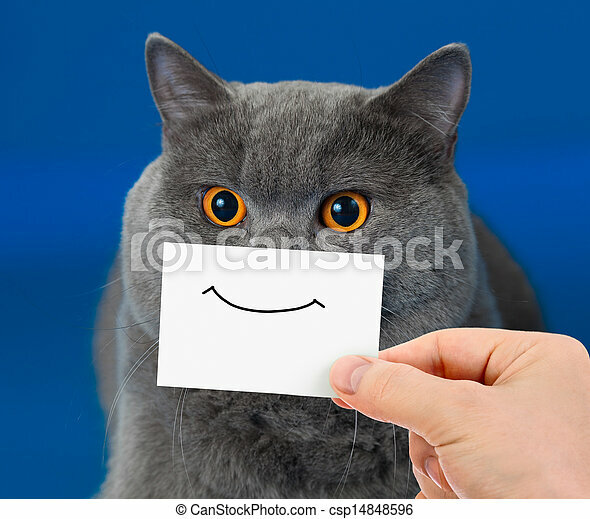 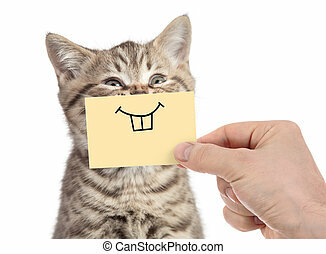 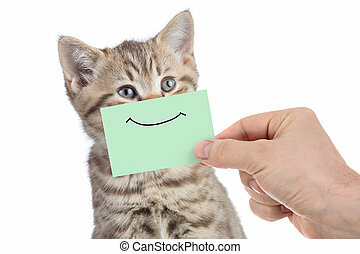 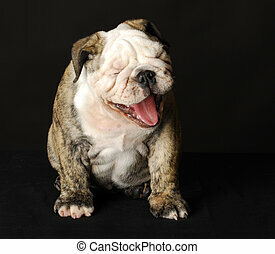 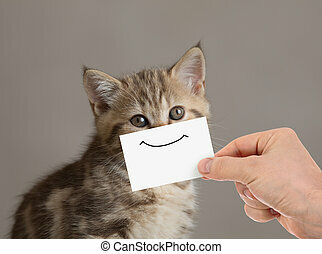 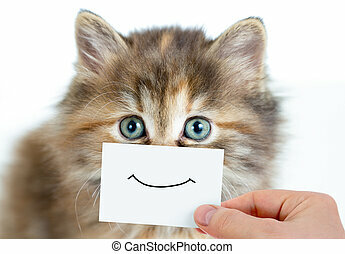 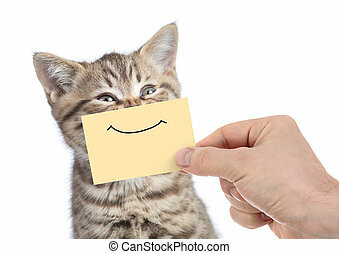 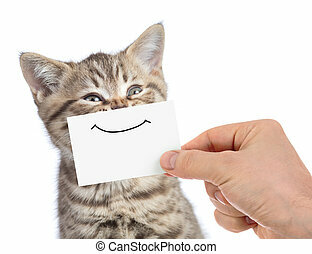 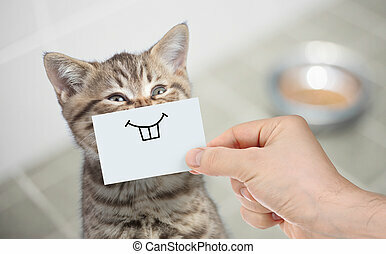 Funny cat portrait with smile on card. 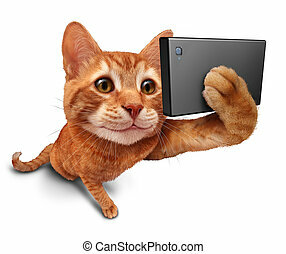 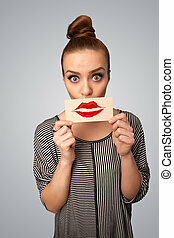 Selfie cat on a white background as a cute orange tabby kitty with a smile in forced perspective taking a selfy portrait picture with a smart phone or digital camera as funny and humorous social networking symbol. 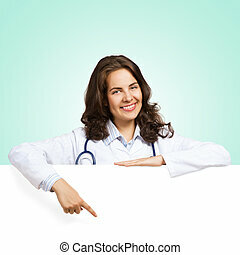 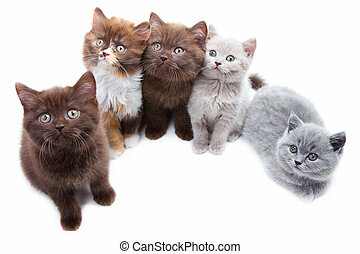 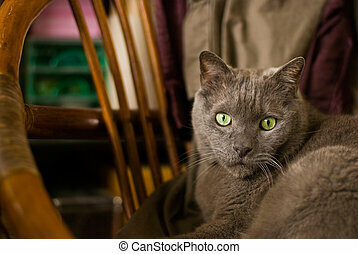 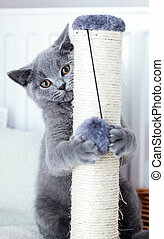 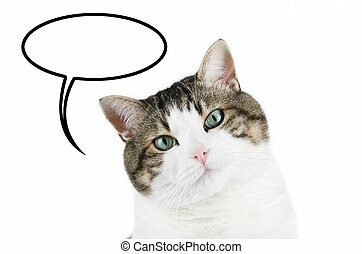 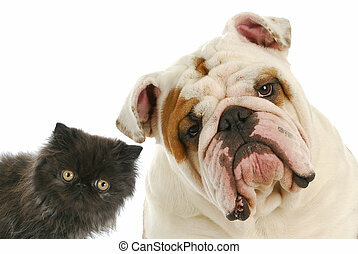 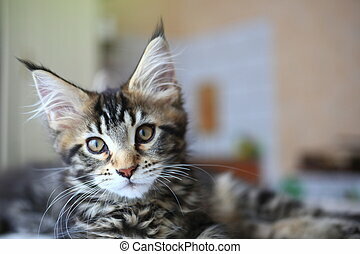 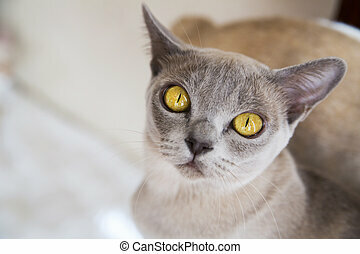 Cat portrait over white isolated background with blank thought balloon with copyspace .